Is it possible to combine an executive and non-executive director (NED) role? This was one of a number of questions which sparked debate among financial services executives at an industry dinner hosted by HW Global Talent Partner recently in London. The informal networking event was held last month to offer advice to financial services executives looking to launch and develop their NED careers. Guest speaker David Stewart told delegates how he has built a non-conflicting NED portfolio, predominantly in financial services. The former Chief Executive of Coventry Building Society is now Chairman of Enra Group, Chair of the Audit and Risk Committees of M&S Bank and HSBC Private Bank (UK), and Audit Chair at LSL Property Services PLC. For executives considering taking on their first non-executive directorship, one of the key considerations is whether they can continue in their full time executive position and still fulfil both roles effectively, or retire from executive life before concentrating on developing their NED portfolio. One argument put forward round the table at the Mayfair dinner was that some CEOs would rather have their executive team fully committed to their business. But others felt companies would benefit from their executives gaining NED experience, bringing an external perspective and additional insight into boardroom dynamics. This is especially true if the NED role is in a complementary or affiliated sector. For the executive, combining their full-time position with a first NED role will also help the transition from day to day management of a business to life as a non-executive director, meaning they are well prepared for the next phase of their careers and are not stepping into the unknown. Andrew Merrick, CFO & Regional Managing Partner at Irwin Mitchell LLP in Leeds and a non-executive director at Market Harborough Building Society, who attended the dinner, said: “Whilst I have found the time commitment of an NED role alongside a full on day job challenging, I do think it brings benefits to the day job if you are prepared to put the extra (weekend and evening) time in. 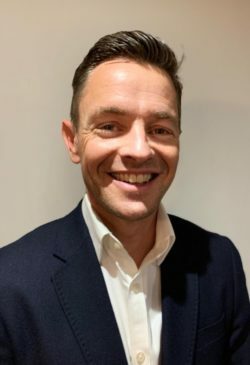 Bryce Glover, Executive Director at Echo Financial Services Ltd and also a non-executive director at Newcastle Building Society and Cygnet Properties & Leisure PLC, also believes the advantages outweigh the disadvantages. He said: “I have been fortunate in that one of my NED roles and my executive responsibilities are both in the financial services sector and I have found these two roles complementary. They provide a wider perspective on industry issues and, hopefully, allow me to make a tangible contribution for both employers. Adrian Coles, former Director-General of the Building Societies Association, also attended the dinner. Now a non-executive director on the boards of the Financial Services Commission (of Gibraltar), Housing Securities Ltd, Progressive Building Society, Reclaim Fund Ltd and BSA Pension Trustees Ltd, and Chair of the Consumer Advisory Board at Fairer Finance, he said: “I was lucky enough to have a number of NED roles while a chief executive. “There were two main benefits – it helped hugely in understanding how the NEDs in my own organisation saw their role, and what issues they faced as an NED. Secondly, the way I was given management information as an NED at other organisations gave me ideas on how I could improve the information flow to my own NEDs. Other topics discussed at the dinner included the pros and cons of having a diverse NED portfolio and what makes a good headhunter. Non-executive roles can range from sitting on a PLC board where board packs are refined and provide a quick dashboard view, to being an NED on a private equity backed or growth business where you need to ask more questions because all the required information isn’t always supplied. Another consideration is that a non-executive position at a PLC can be remote, with a heavy governance focus, whereas NEDs may feel they can have a more open discussion and are making a greater contribution in a smaller business. Adrian added: “I’ve served on the boards of a building society, co-operative societies, a housing association, charities, trade associations, regulators and ombudsmen, schools in both the private and public sectors, and private limited companies. Getting that first NED role can be difficult; this is where your relationship with a trusted executive search firm specialising in non-executive director recruitment will pay dividends. Adrian outlined what he thought made a good headhunter: “Someone who has taken the trouble to meet you outside of the process of recruitment for a particular role, and therefore knows your strengths and weaknesses before putting you forward. HW Global Talent Partner recruits Chair and NED positions for a number of leading financial services providers, as well as firms in the consumer, retail, technology, pharmaceuticals and renewable energy industries. If you would like to discuss NED opportunities please contact Pascale Gara, who heads our Chair/NED Practice, at pascaleg@hwglobalpartner.com or +44 (0) 113 2432004. With difficulty is the simple answer. Because the only thing that appears certain at the moment about Brexit is that it is causing a great deal of uncertainty…across all industry sectors. Speaking regularly as I do with commercial leaders in FMCG, it is the subject that is unsurprisingly raised every time we meet.